Ambuja Cements Ltd, Canara Bank, Syndicate Bank and GE T&D India Ltd are among the other gainers in the BSE's 'A' group today, 26 July 2018. 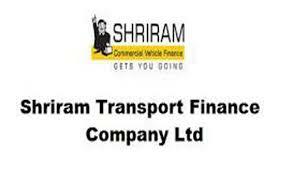 Shriram Transport Finance Company Ltd soared 6.75% to Rs 1371 at 11:47 IST. The stock was the biggest gainer in the BSE's 'A' group. On the BSE, 2.09 lakh shares were traded on the counter so far as against the average daily volumes of 1.64 lakh shares in the past one month. Ambuja Cements Ltd surged 6.28% to Rs 222.65. The stock was the second biggest gainer in 'A' group. On the BSE, 5.94 lakh shares were traded on the counter so far as against the average daily volumes of 2.97 lakh shares in the past one month. Canara Bank spiked 6.01% to Rs 274.45. The stock was the third biggest gainer in 'A' group. On the BSE, 7.45 lakh shares were traded on the counter so far as against the average daily volumes of 3.64 lakh shares in the past one month. Syndicate Bank spurt 6.00% to Rs 43.3. The stock was the fourth biggest gainer in 'A' group. On the BSE, 2.54 lakh shares were traded on the counter so far as against the average daily volumes of 2.85 lakh shares in the past one month.  GE T&D India Ltd rose 5.45% to Rs 299.8. The stock was the fifth biggest gainer in 'A' group. On the BSE, 20431 shares were traded on the counter so far as against the average daily volumes of 85150 shares in the past one month.